يضمن فندق Fairway House الذي رمم في 2012 لزائريه قضاء وقت ممتع في ولونججونج، سواء جاؤوا في رحلة عمل أو سياحة. إن موقع الفندق الاستراتيجي، الذي يبعد 10km فقط عن مركز المدينة، يسمح للنزلاء بالوصول سريعاً وبسهولة إلى العديد من الوجهات المحلية المثيرة. يوفر الفندق بفضل موقعة الجيد وصولاً سهلاً إلى أهم معالم المدينة.
. إن الخدمات الممتازة وحسن الضيافة العالي في Fairway House تجعل إقامتك تجربة لا تنسى. لضمان راحة ضيوفه، يقدم الفندق الخدمات التالية: مرافق مخصصة لذوي الاحتياجات الخاصة, واي فاي في المناطق العامة, صف السيارات, التوصيل من وإلى المطار, مطعم . تنعكس أجواء Fairway House في غرف الضيوف.تلفزيون بشاشة مسطحة, غرف لغير المدخنين, تدفئة, مكتب, مروحة هي بعض الميزات الموجود في العديد من الغرف. سواء كنت من محبي الرياضة أو كنت تتطلع لتفريغ عناء نهار صعب، ستجد خدمات ذات مستوى عالي بانتظارك كمثل مسار جولف - ضمن 3 كم, حمام سباحة خارجي, سبا, ملعب تنس, حديقة. إن Fairway House هو خيار ذكي بالنسبة للمسافرين إلى ولونججونج، بما يوفره من إقامة هادئة ومرحة. You get what you pay for. It's in a great location at the golf course and has two pools. But very budget. Carpet floors were in desperate need of replacement as they were so filthy. No air conditioning. But half the price anywhere else, you can't expect too much. The beds were clean and sheets changed daily. Only pro is that it's less than 100 metres from a very nice golf club! We wouldn't stay here if you paid us to! 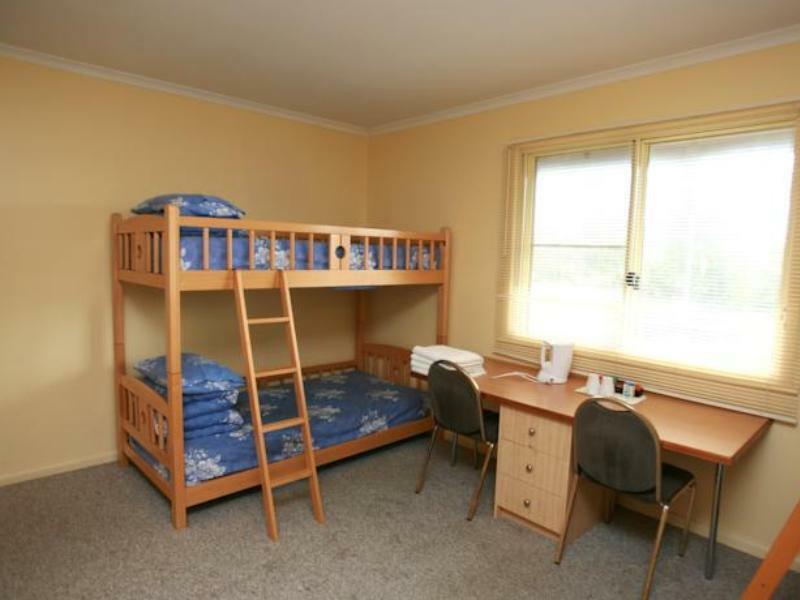 We were looking for a budget room close to a suburb for a family function. We were more than satisfied with the accomodation and pleasantly surprised with the golf course view from our room. The staff were very friendly and helpful during our stay. Rooms nothing like in the pictures. Realise we booked a budget room, however room was terribly dirty and furniture dirty and worn out. Common area dirty too as were the cups and glasses in the room. Never again!! This property is the older building attached to the main motel "Comfort Inn, Fairways". We were a little worried from older reviews - however it was perfectly good for us and great for the price (1 Queen Bed + 2 * singles as a bunk). Freshly painted walls/ceilings. Clean linen. Clean bathroom. Comfy mattress. The carpet was rather old and worn, but that didn't fuss us. Two pools both under maintenance during Christmas holidays, staff unapologetic. Room was rundown, mould in bathroom, towel rails broken and left on the floor, carpet frayed and badly stained. Beds were comfortable and clean towels supplied daily. A friend and I stayed in the budget room on the night of 31.12.2016. While yes we didn't pay a lot for the room, there is still an expectation that the room is in a sanitary state. My friend and I had joked that we we staying in the hotel from the movie "Pyscho" as it was that bad, our only saving grace was that we weren't going to spend very long in the room at all. When we walked in therd were stains all over the carpet, bird poop splattered on top of the bar fridge, mould on the roof in the room and in the bathroom. I felt so grossed out that I wore my shoes in the shower in fear of catching something. I then went to use one of your glasses and none of them were clean! We had to wash some ourselves in the sink. The bunk beds were not made and we could see stains all over the quilts. When we eventually came back to the room we slept on top of the bed with a single sheet because we were concerned at what we would uncover underneath the bed sheets. Wouldn't recommend to a friend. Really old room . The carpet had marks all over it . The toilet was clean but again it was due for renovation 10 years ago. The beds were fine and sheets were clean. The room had a TABLE FAN !! No AC I believe there top range rooms are better but the budget price room was a shok. Rooms were basic with comfortable beds however the cleanliness of the rooms (except linen and towels) left a bit to be desired. There were stains on the carpet and mould in the shower. Location was good for our group being next door to the golf club and a short cab ride to the race track. Would recommend for a 1 night stopover or a golf weekend. Had 3 hairs in my sheets and 6 hairs in my daughters bed as well as numerous hairs on tiles in shower. Carpet was filthy so we had to keep thongs on.Freezer completely frozen. Backs onto a main road so it was very noisy. WIFI kept dropping out so became unusable. room that smelt of cheap disgusting fake strawberry scent to cover up the urine soaked mattress! The rooms weren't cleaned properly the tv didn't work and it was so close to the highway that I could hear every single car that drove passed plus the noise coming from the other rooms. I asked for another room, the lady was nice enough about it but didn't really seem to care or even apologise about the mattress.